Beetiful redesigned the book cover for Under the Moonlight by April Feezor. Kaylee Lathrop, a talented interior designer at The Dolan Agency in Los Angeles, wants to move up in her career. Her boss, Marcella Dolan, agrees to the promotion, but with one catch. She needs to land the account of Andrew Harrington III. There’s just one problem, Mr. Harrington wants nothing to do with The Dolan Agency. 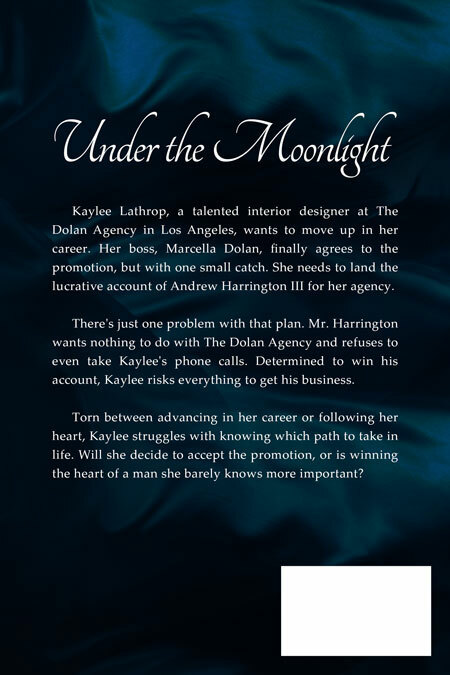 With her promotion at stake, Kaylee risks everything to get his business. Soon, she’s torn between advancing in her career and following her heart. 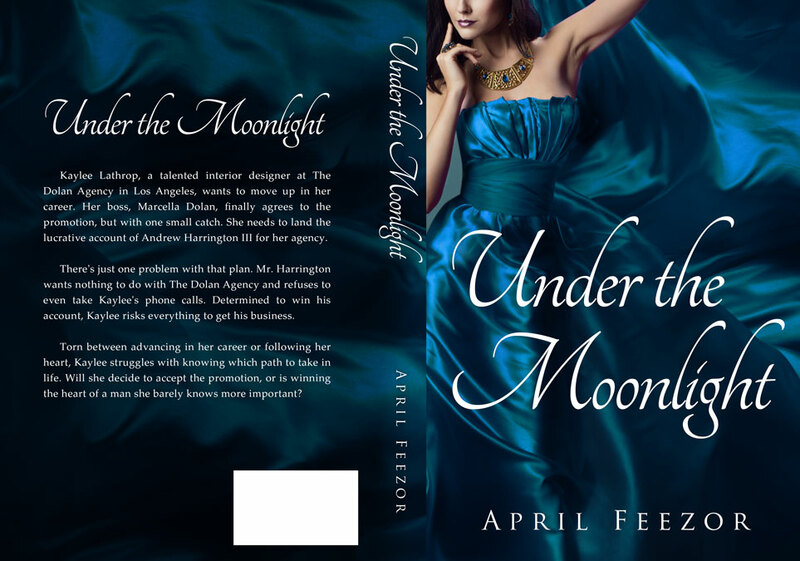 Get Under the Moonlight by April Feezor today! 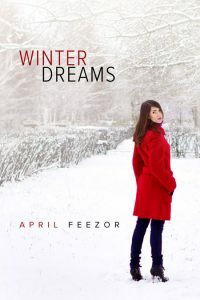 New author, April Feezor, is passionate about reading and has a creative flare for writing stories. 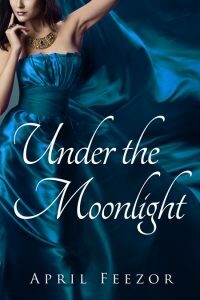 Combining real life situations, intriguing characters, and interesting storyline twists, her writing style is sure to please any avid romance reader. Growing up in a small town in Illinois, April moved to Southern California during her school age years and then relocated to Tennessee for her career. Her first book, Kristina's Lie, combines local elements of Nashville and her own life for an interesting romance story. 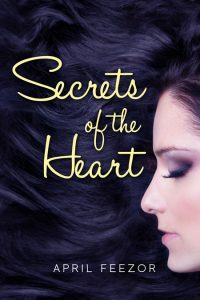 Her second novel, Secrets of the Heart, offers a light romance intertwined with a mysterious locket. Calling Nashville home for over twenty years, April is married and works in the education field. She enjoys walking her dog, volunteering for various organizations, margaritas, holiday gatherings with family, baking, and spending time with friends.